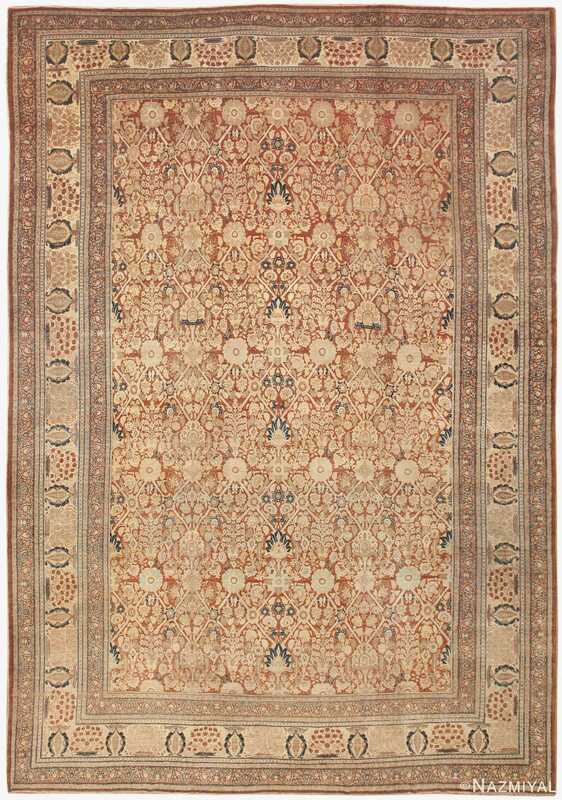 Haji Jalili Tabriz Rugs – At the end of the 19th century, after a prolonged period of dormancy, the Persian town of Tabriz experienced an artistic revival and successfully reasserted itself into the forefront of the rug-making world. 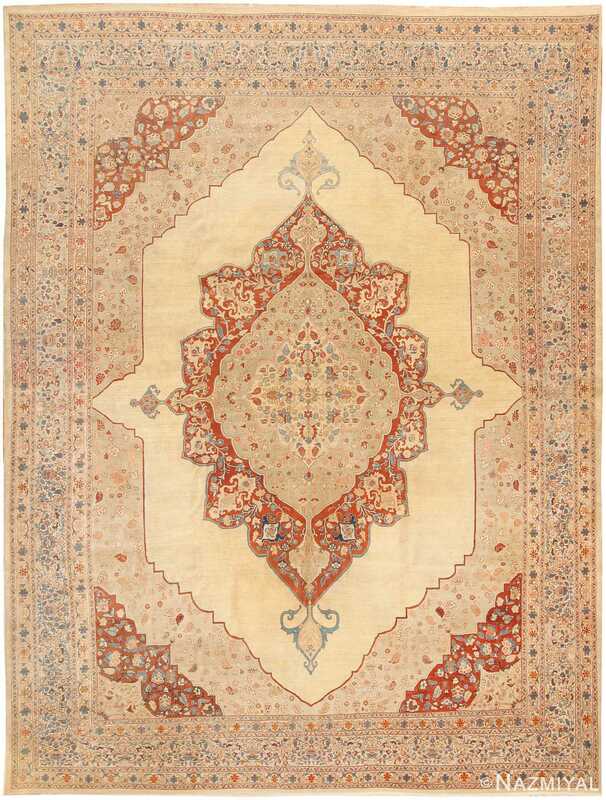 Perhaps one of the most important figures in this reawakening of Tabriz as an important rug-making center was the master weaver Haji Jalili, from the nearby of Marand. Tabriz is known as a city that has a rich history and was home to the Persian Market and as the main source of venerated weaving. 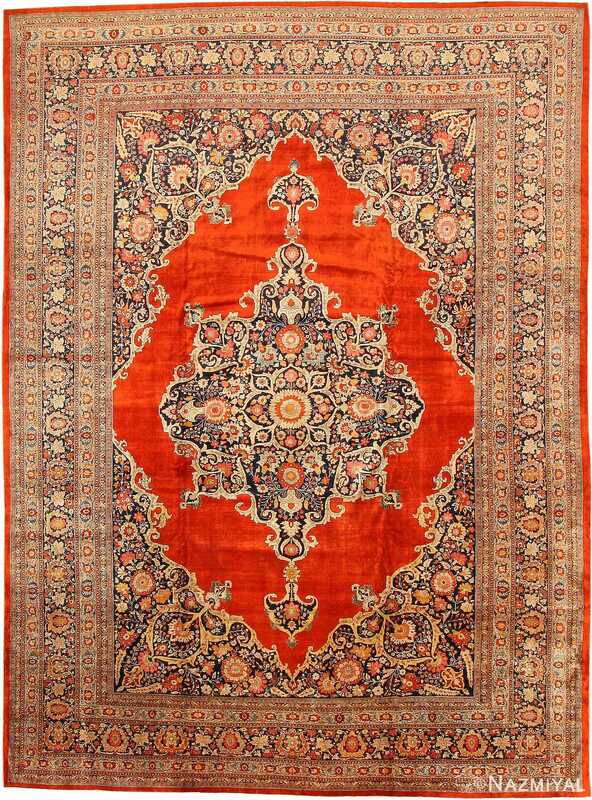 The Persian Market was strongly linked to both Europe and Western Commerce, and the venerated weaving that was common influenced the design of antique carpets during the 15th and 16th centuries during the Shah Abbas period. 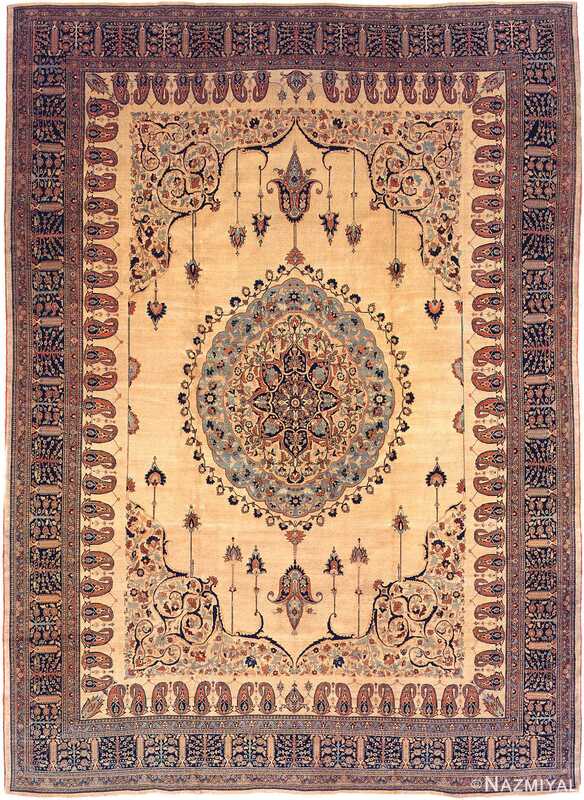 Kurban Dai, Sheik Safi, and Hadji Jalili were notable figures who influenced Persian carpet production and allowed it to become celebrated again in the second half of the 19th century. 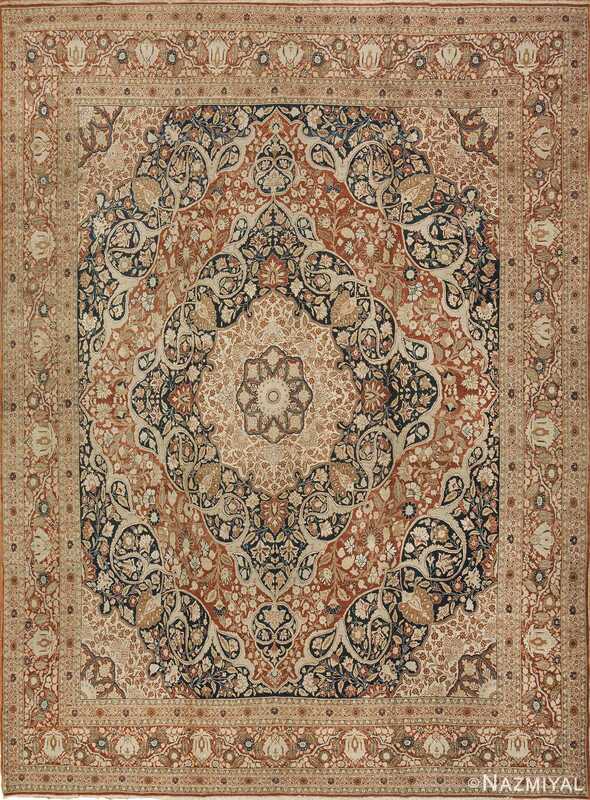 Tabriz is believed to have incorporated curved lines that were commonly used in Ottoman rugs to Persian weaving while working as the first seat of the royal weaving workshops of Safavid rugs. 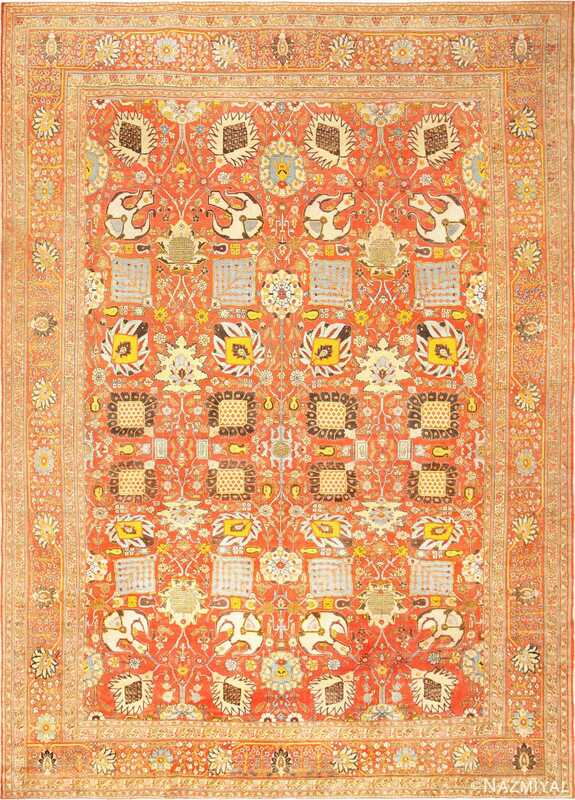 Hadji Jalili is known as the most famous weaver who created the unique Court design antique carpets during the 19th century. 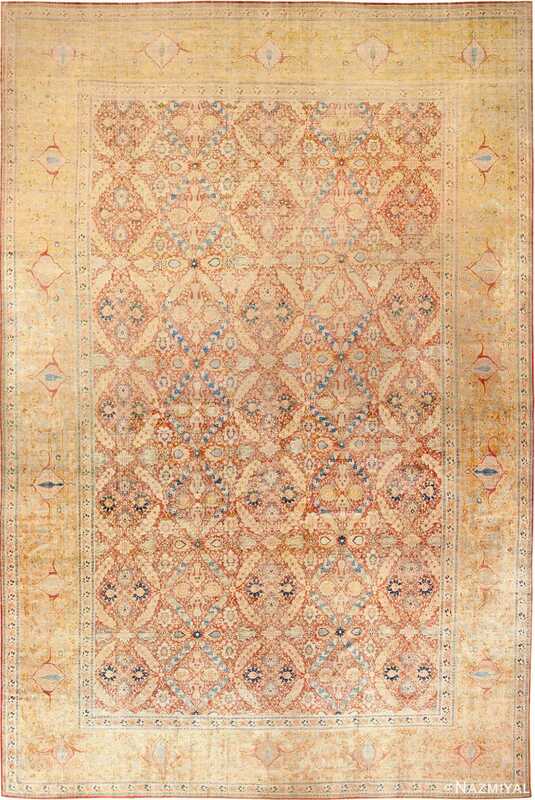 As an expert of both European and Romantic art, Jalili was responsible for influencing Continental design for antique rugs that were constructed during the “Golden Age of Persian Weaving.” As a highly intelligent man, he also studied Sufi philosophy to create carpet designs and styles that are contemplative and are made to have a significant influence on the viewer. Hadji Jallili proved to be extremely influential as a prominent figure whose life and work and intelligence fulfilled many different commissions. 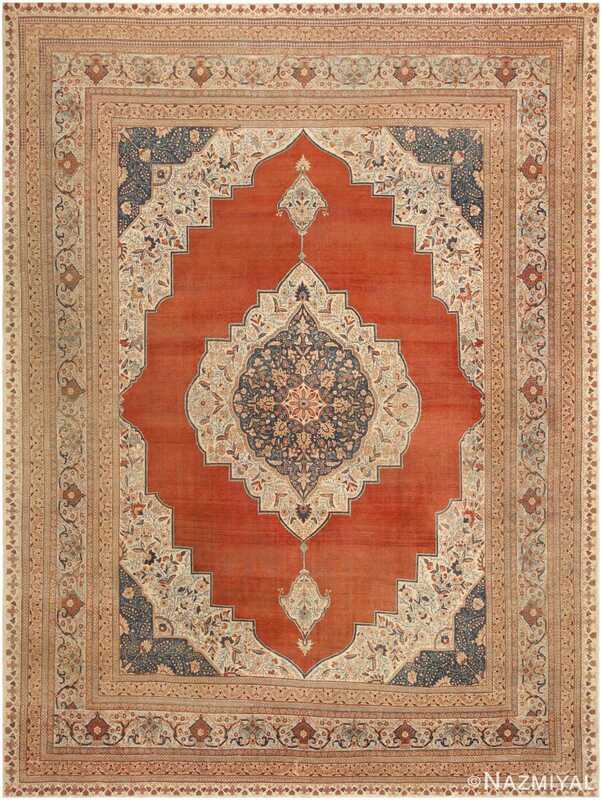 The top antique Persian rugs that were produced used the finest materials and were constructed by expert dryers and weavers with the influence of his creativity and genius. 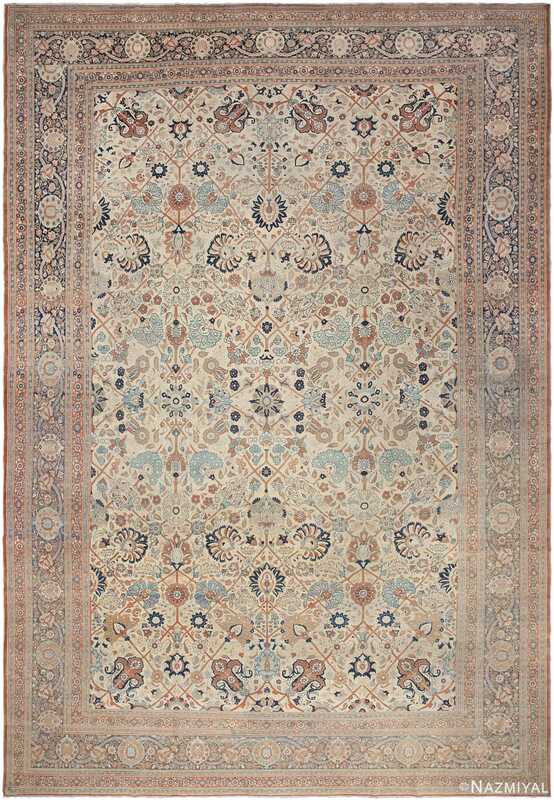 Jalili produced two different antique carpet designs that include intricate patterns that included dense weaves with 300 knots per square inch. 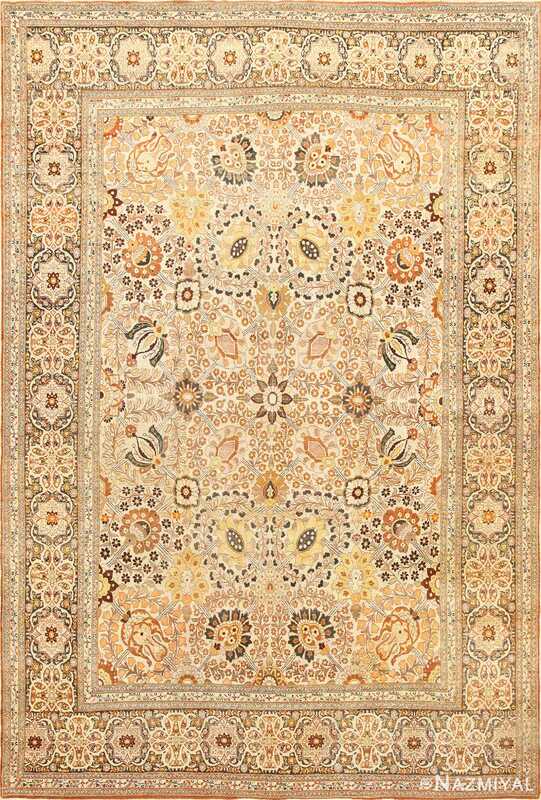 He also created lovely floral rugs that included decorative central medallions. He’s known for creating “Garden of Paradise” and “Tree of Life” patterns that feature weeping willows, deer, peacocks and gazelle, and cypress trees. The designs are incredibly detailed and reveal how much thought was used to create each piece. 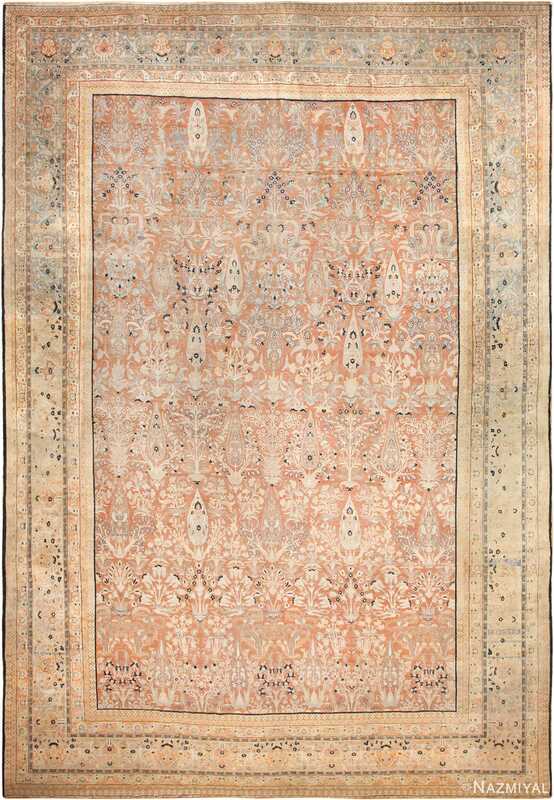 Although most antique Persian rugs feature deep blue and red color shades, Hadji Jallili rarely created the same style and instead resorted to using exquisite dyes that have subtle tones. The finely drawn patterns had a high level of aesthetic and were more minimal. 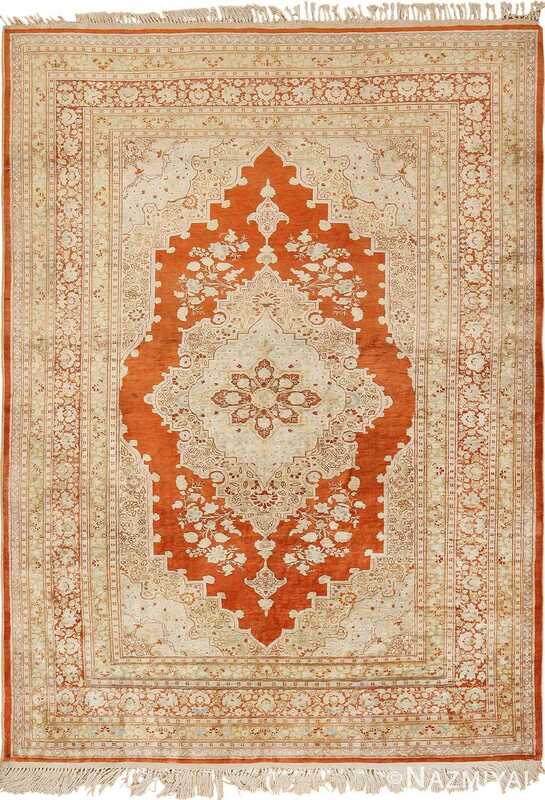 Many of his rugs featured vine-formed medallions and lovely arabesques with on backgrounds of tan, ivory, sand, and rusts. Midnight Indigo can also be found on many of his antique Persian Tabriz rugs for more contrast that is eye-catching and dramatic. 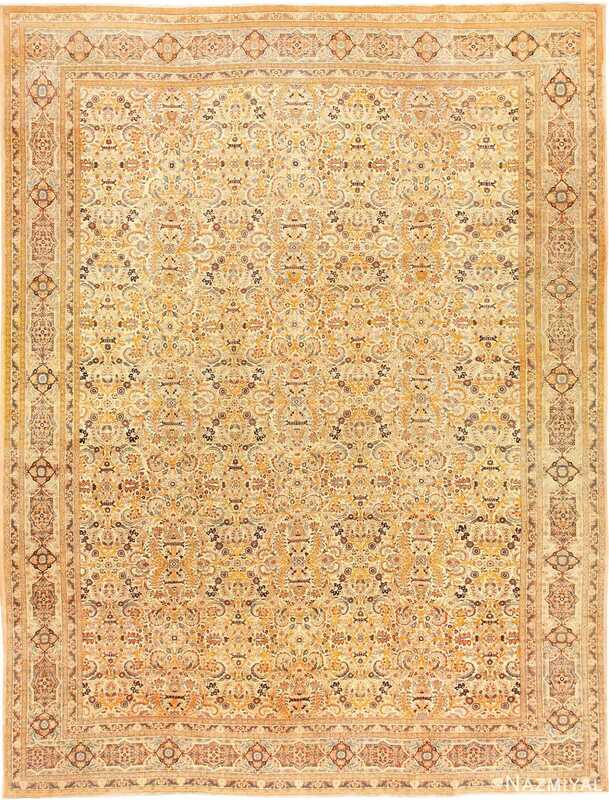 The light backgrounds pair beautifully with designs that are delicately etched because of the high knot density of each rug. 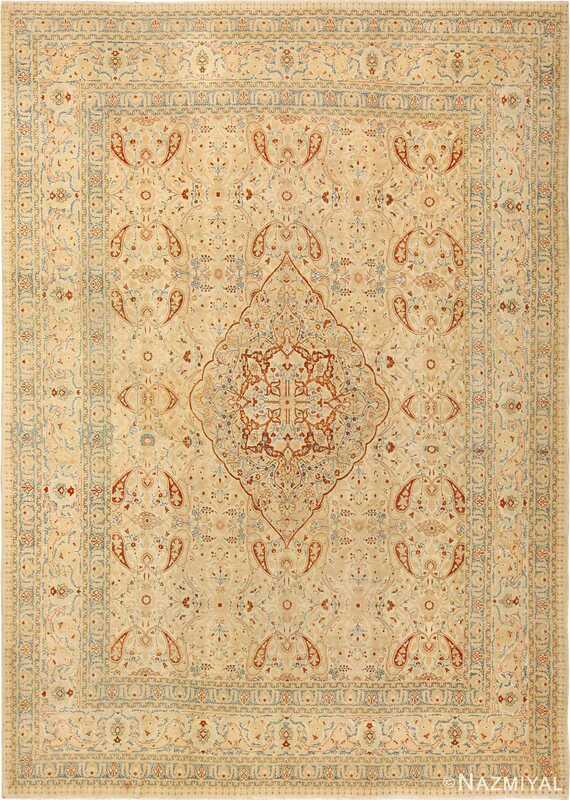 Today, the antique rugs that were produced by Hadji Jalili are extremely rare but can still be found in large rooms. They can be challenging to find due to limited production and their high demand around the world. 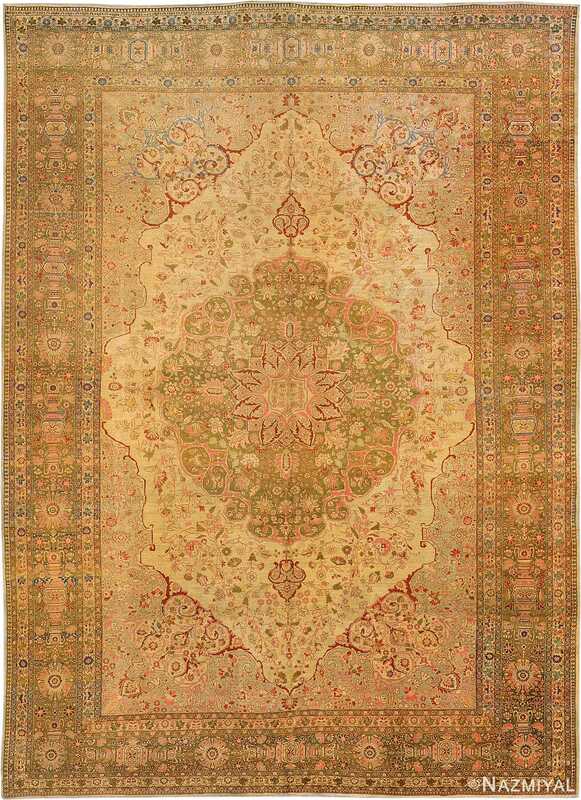 Due to the subtle designs used by Jalili and the unique color shades incorporated into the rugs, they’re known to be some of the most breathtaking pieces to be constructed during the 19th century. 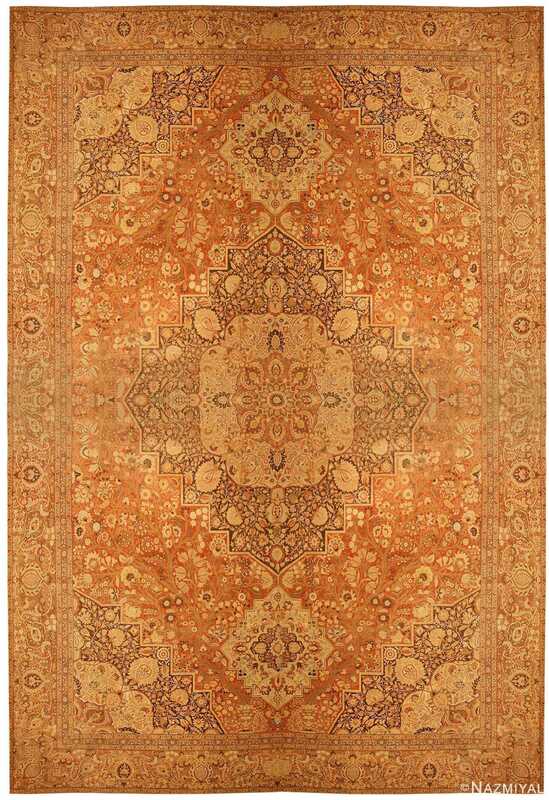 Many people continue to favor the rugs for the magical patina and intricate patterns that create fine furnishings and beautifully represent the style of the era. With the goal of creating memorable artworks that left a legacy, Hadji Jalili was successful in leaving behind a limited number of masterpieces that can continue to be enjoyed by art enthusiasts. After the 1900’s, his workshop produced designs that were more predictable than his earlier creations but still followed high standards of excellence until World War I. 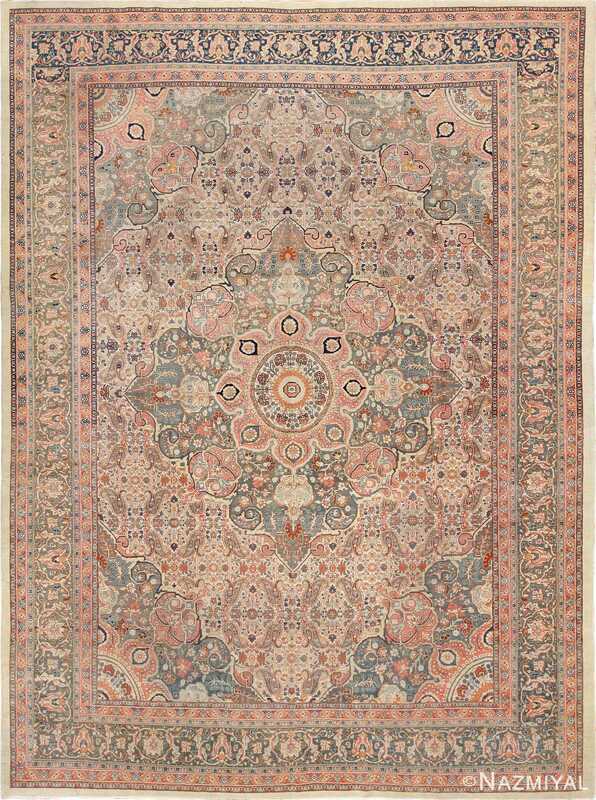 Most of the antique Tabriz carpets that are currently in our Hadji Jalili collection are from the 19th century. 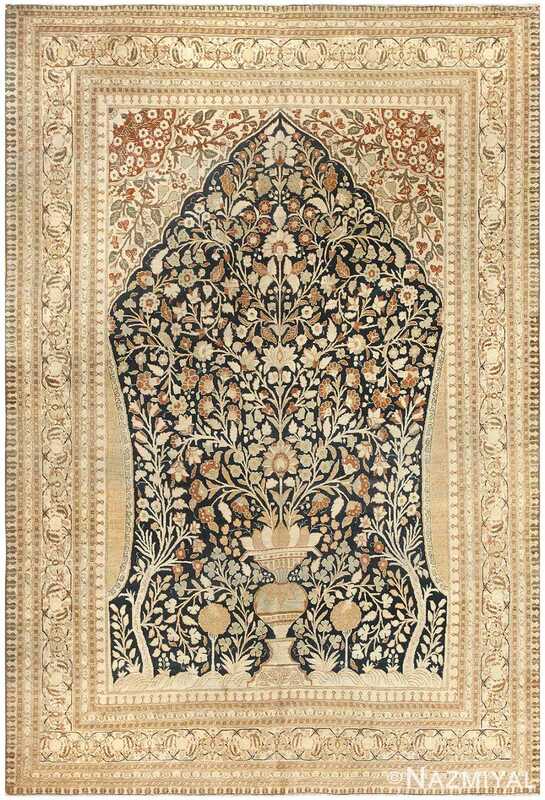 There are even a few masterpieces that were woven between 1850-1875 and are now considered to be high valued rug art investments. 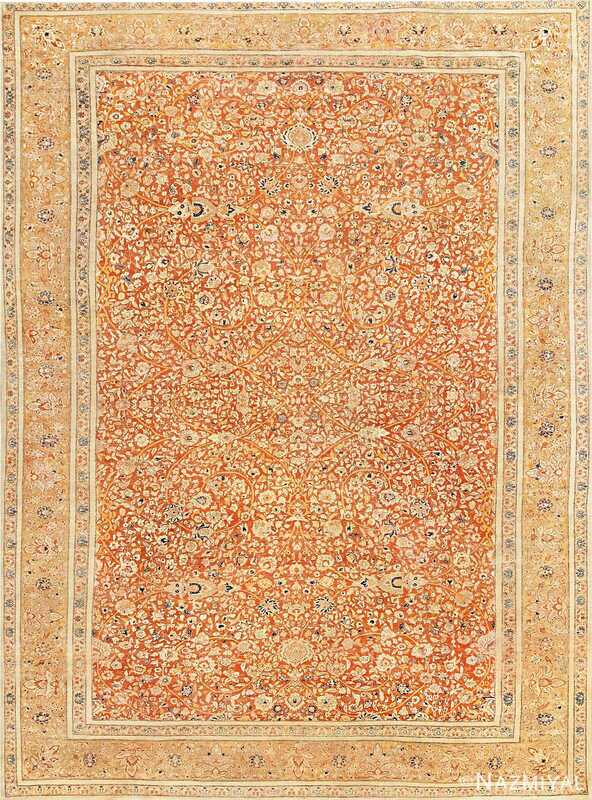 Attributed to the most famous atelier in Tabriz, this exquisite antique Persian carpet displays a grand allover pattern that possesses a tremendous level of detail. 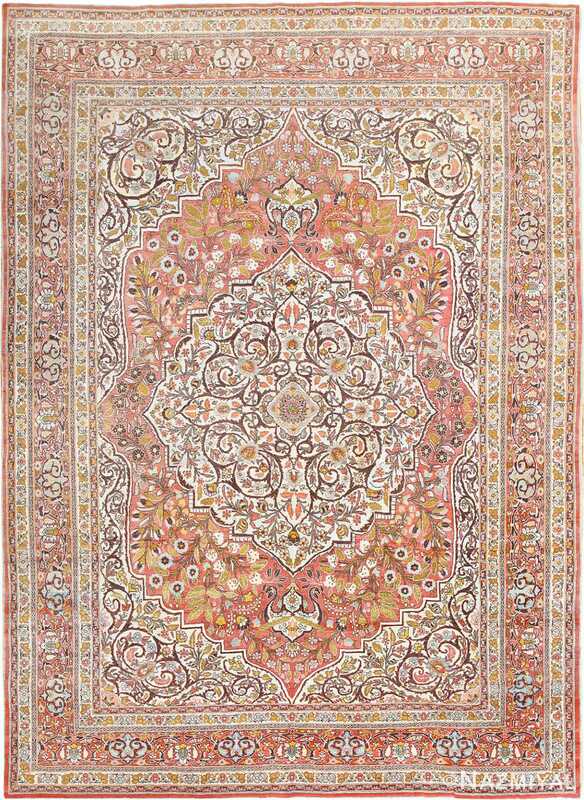 The Haji Jalili workshop is world renowned for producing the finest pieces in Persia. 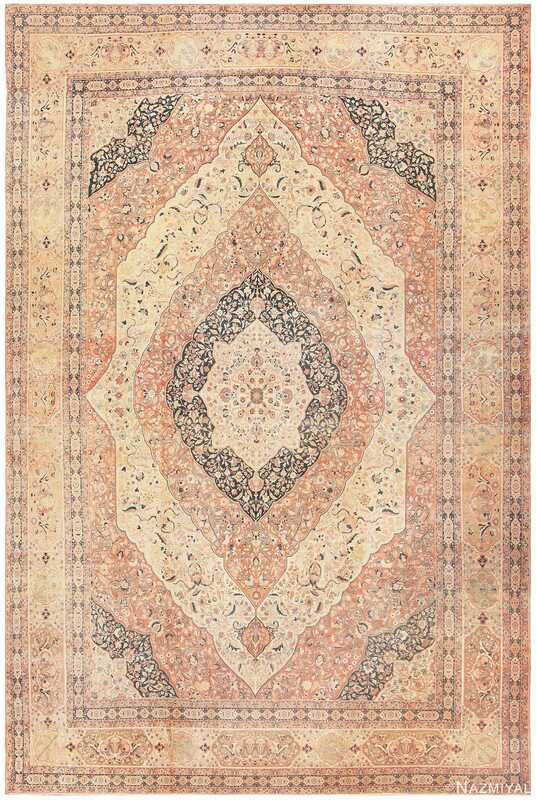 This exquisite antique Tabriz recalls the great classical Persian court carpets. Attributed to Haji Jalili of Tabriz, this spectacular Persian carpet displays a grand medallion set over a sumptuous monochrome ground that is fabulously elegant. 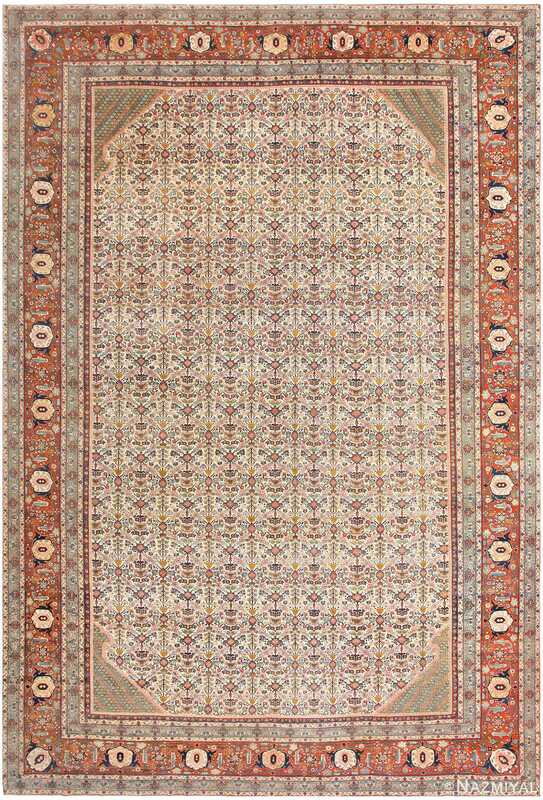 A classical scalloped medallion of interlacing vines floats elegantly within the open red field on this exquisite Oriental antique Tabriz carpet from Persia.